School superintendents in Brockton Mass earn 168,000 on average according to Salary.com. Add in cushy retirements and benefits for a job where you only have to work 10 months out of the year and it’s no wonder they can’t pay the bills. Brockton school district has a projected 16 million dollar deficit. They claim they are from a “poor” district. Yet the average family earns 95,000 a year. That ain’t poor folks! No they want MORE MONEY and MORE CUSHY JOBS. And how many school administrators and bureaucrats earn so much more than they should never get cut? Already Brockton gets MORE aid from the state than other districts. Their costs have spiraled out of control because the NIGNOGS are mostly “learning disabled” as well as violent. This requires extra security, extra special ed teachers, bilingual teachers, extra cost extra cost extra cost. All to produce a fake education for low IQ negroids who learn nothing anyways. Overall, Brockton spent $14,778 per student but it’s not enough because Muh Diversity. 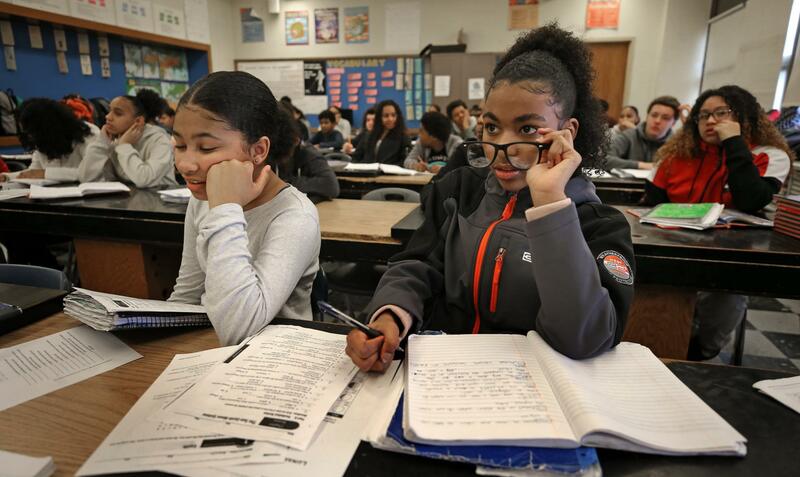 Seventy percent of Brockton’s students are economically disadvantaged, lack English fluency, or have disabilities, which means they cost more to educate because they often require specialized programs or extra tutoring. Now if they have converted their libraries to classrooms, it shows the exploding numbers of students, thanks to the 30 million Hisapanic illegals over here. Plyer vs. Doe was the biggest slap to a dying Europanic nation possible and needs to be overturned. We should NOT be paying the huge costs to educate the illegal aliens. But we do. And the blacks are encouraged by the way our welfare rewards popping out fetuses that their numbers has grown as well. The only people whose numbers have declined are the europanic tax payers. What Brockton is arguing against is the new Leftis Commie demographic shift that they think will be so wonderful. Except it leads to gang thug schools endless poverty and no money to pay for anything. And frankly, Europanic man is walking away and saying STUFF IT I’m overtaxed to all hell. Property taxes keep rising to the ridiculous point where we RENT our houses from the state not own them. NO OTHER COUNTRY ON EARTH DOES THIS. The truth is you are a slave Neo. Brockton is just one more symptom of the collapse.